What are read-only and read-only, no-details access permissions? 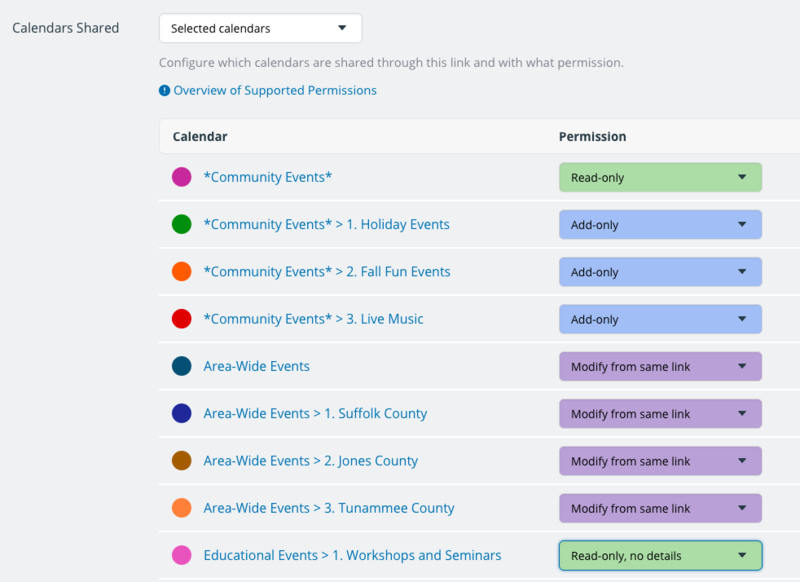 The read-only access permission gives a calendar user the ability to see all the events on the calendar, including the event details. However, the user cannot change any events on the calendar. You can view all events on the calendar. You can view event details. You cannot add new events. You cannot modify or delete events. 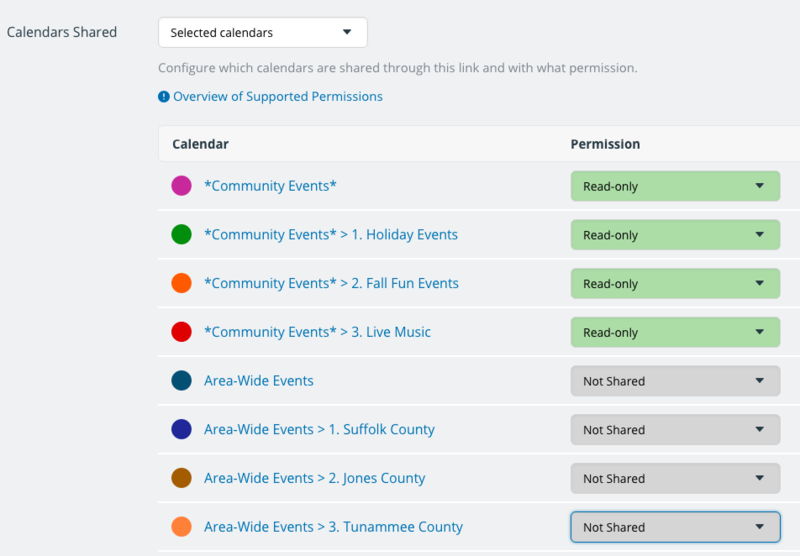 A read-only calendar view is very helpful if you want to share a calendar with a group or with the public. The read-only, no-details permission is slightly different than read-only. Read-only, no details permission hides the event details. Thus, users can see the event blocks on the calendar, but cannot see any information about the events. The events are shown as “Reserved” and the user cannot view event details. A read-only, no-details calendar view. You cannot see the event title; events are shown as Reserved. You cannot see the event details. You cannot add, modify, or delete events. 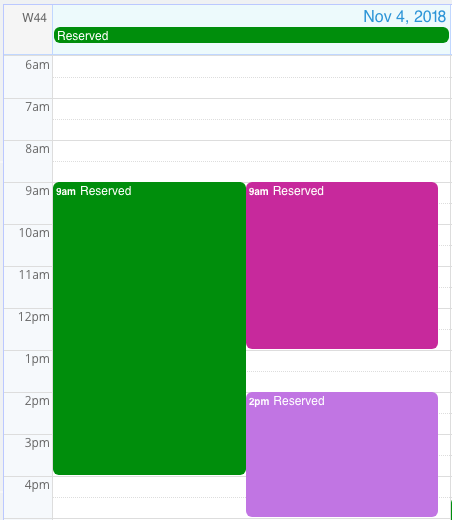 A read-only, no-details calendar view is very helpful if you need to show reserved times, appointment openings, or bookings, but also need to protect sensitive information. « What is modify-from-same-link access permission?